New York law requires drivers involved in an accident causing property damage or injury to stay at the accident scene and provide insurance information and identification. Despite this law, some people, either due to fear or uncertainty, leave the scene of an accident without providing this information. If you have been charged with leaving the scene of an accident and/or hit-and-run, you face serious criminal charges that can negatively impact your life in many ways. Depending on the severity of the accident, you could face misdemeanor or felony charges. Even if you have not yet been arrested, if you have left the scene of an accident without providing information, there is a high likelihood that someone witnessed you leaving the scene. In either event, an experienced defense lawyer will explore all of your options and protect your rights. 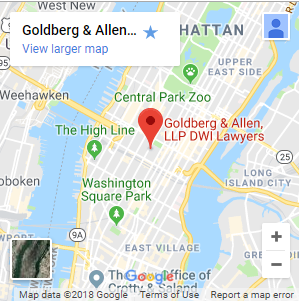 We are the law firm of Goldberg & Allen. From our office in Manhattan, we defend individuals across the New York City area against criminal charges. Our lawyers have substantial experience in both defending and prosecuting traffic crimes. Gerald Allen, prior to co-founding our firm, was a First Deputy Bureau Chief at the Kings County District Attorney’s Office. One of his many duties involved training prosecutors to effectively handle traffic crimes such as leaving the scene of an accident. 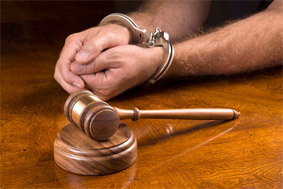 Consequently, our law firm can anticipate the tactics that the government will use to prosecute your charges. Call 212-766-3366 or contact us online if you have been charged with leaving the scene of an accident, hit-and-run or another serious traffic offense. We understand that time is of the essence in these situations. Our lawyers will be prepared to respond accordingly.